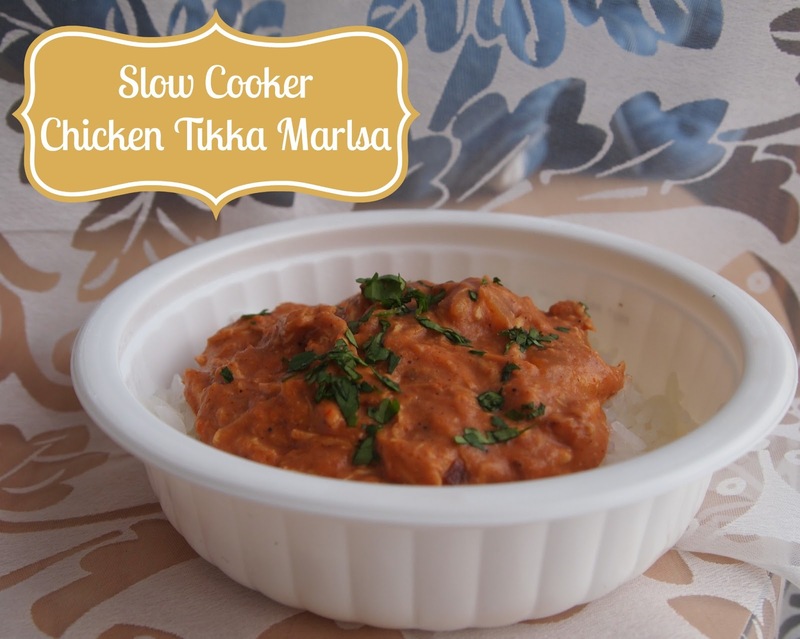 I have a confession - I am madly in love with my slow cooker! I have always had a slow cooker around, but I never used it much except when I make batches of apple butter in the fall. A few months ago, I decided to upgrade to slow cooker with an auto timer (scored at a thrift store for just $7!) and it is the best $7 I have ever spent! I am also pretty in love with Indian food. It is one of the things that I crave often, so I've been working on making it at home and this is one of my very favorite new recipes. It is really simple to make - it just seems like a lot of ingredients because of the spices! The spices are also pretty forgiving, so don't fret! Place everything except cream & cornstarch into the crockpot. Throughly mix and coat the chicken using a spatula. Cover & cook for 8 hours on low (or 4 hours on high). Once cooked, mix heavy cream and cornstarch in a bowl and whisk to create a slurry. Mix your slurry mixture into the crockpot & cook for an additional 20-30 minutes. You could skip the slurry and just add cream, but the mix will add body and thicken the sauce beautifully. Serve over rice and add chopped cilantro or parsley to top.